OK, I am posting this head to head comparison for only one reason. Reverse Mobile has updated thie "home page." What is so special about that? You can now search for a cell phone number by name - not just as a reverse lookup. OK, head to head, Reverse Mobile and the Reverse Phone Detective seem to match up pretty equally. The main difference, is if you want to only check one number - the Reverse Phone Detective Reverse Mobile is still your best bet. It will give you the complete report for only $14.95. That is less than Reverse Mobile's one time fee. 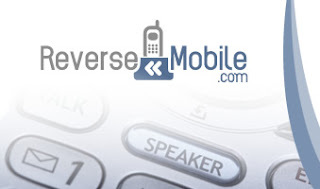 However, if you are looking to find someones cell phone number and you only have a name - then you need to use Reverse Mobile. I like what they did to the site, I only hope this little tid- bit helps you out.